Glyn Rouse was ‘out walking and minding his own business’ in November 2017 when he was savagely stabbed in an unprovoked attack in Crawley. 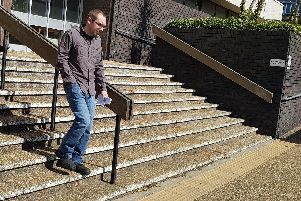 Vladimir Ivanov, 23, of Juniper Road, pleaded guilty in November to the manslaughter with diminished responsibility of 61-year-old Glyn Rouse part way through his trial, where he had been charged with murder. Today he was sentenced to life in prison and ordered to remain in hospital indefinitely, police confirmed. Ivanov used a kitchen knife to stab Mr Rouse in an unprovoked attack in Cherry Lane just before 10.30am on November 28, 2017. He told police at the time that 'something in my mind told me to do this'. Mr Rouse's family paid tribute to an 'extremely talented man' following his tragic death. Mr Rouse, who lived in nearby Rushetts Place, was discovered by passers-by with serious wounds to his neck, head, chest and left arm. Despite the best efforts of emergency services, he was sadly pronounced dead at the scene. Ivanov was arrested in the area shortly afterwards by officers who were on route to assist, police said. He was covered in blood and had a wound to his left hand, believed to have been sustained during the attack. During police interview, he told officers he took a knife from his home and placed it in his jacket pocket as he went jogging in Cherry Lane that morning. There were a number of other people in the area at the time, including Mr Rouse. However, without any prior interaction with anyone, Ivanov attacked Mr Rouse, police said. When questioned by police he said “something in my mind told me to do this”. He added that he did not know what his intention was for taking the knife, but said that it was not normal for him to do this, according to officers. Ivanov was subsequently charged with murder and remanded in custody. He was subject to assessments by psychiatrists working on behalf of the defence and prosecution in the intervening period. The results of those assessments led to the murder trial. However, during the trial, there were fresh concerns over Ivanov’s mental health. He was reassessed by the same psychiatrists and they came to the same conclusion that on the balance of probabilities, it was more likely than not that he was suffering from such mental illness at the time of the attack and that he had a defence to murder by diminished responsibility. On that basis, the prosecution accepted a guilty plea to manslaughter on the grounds of diminished responsibility and the trial concluded. 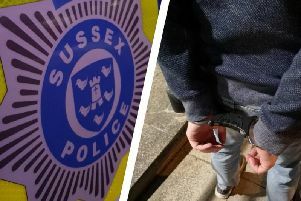 Detective Chief Inspector Mike Ashcroft, of the Surrey and Sussex Major Crime Team, who led the investigation, said: “I would like to extend my sympathies to the victim’s family and friends. “Mr Rouse had been out walking and minding his own business that morning when he was subjected to an unbelievable, highly unusual, unprovoked attack. “Tragically, the wounds he sustained proved to be fatal and he was pronounced dead at the scene. “Ivanov fled the scene of his crime and was witnessed making attempts to flag down a number of passing motorists in the area before he was arrested shortly afterwards. “His motive for killing an innocent man who was unknown appears to be borne from the mental state of the offender.